The argument for burning gas instead of coal goes something like this: burning gas is “cleaner” because it emits less carbon dioxide than oil or coal – even though methane is a much more potent greenhouse gas. So if you can keep the gas you drill from escaping before it is burned as fuel, you might have an advantage. The problem is that gas escapes – from wells, pipelines, compressors. A couple years ago the federal Environmental Protection Agency had estimated that 0.8 percent to 1.6 percent of natural gas production escapes, on a national average. Then last year the Environmental Defense Fund (EDF) published a paper finding that as long as escaping methane was less than 3.2 percent of lifetime production, natural gas would be better than coal for electrical production. According to EDF, 3.2 percent is the “threshold”; methane emissions above that level would eliminate the justification for using gas as a “transition fuel” to replace coal for electricity generation. Now, new research shows that more – much more – methane is escaping from gas production than thought. Studies by the National Oceanic and Atmospheric Administration (NOAA) in Utah’s Uintah Basin showed that up to 12 percent of the gas produced could be going into the atmosphere instead of the pipeline. The basin serves about 6,000 wells and accounts for about one percent of the nation’s gas production. A research team from the Cooperative Institute for Research in Environmental Sciences (CIRES) flew over the basin at about 1,000 feet, gathering air samples and taking readings over a period of several weeks. They used a “mass balance” technique which follows an air mass at it moves into a region and then flows out of that area. During their Feb. 3 testing they found that the area leaked 60 tons of gas an hour. Some days it was far greater. It’s not just the wells that are leaking; methane could potentially be leaking from processing plants, pipelines, and compressors. The problem with all this leaky methane is that it contributes to smog – and Utah has smog levels that rival Los Angeles on its worst days. 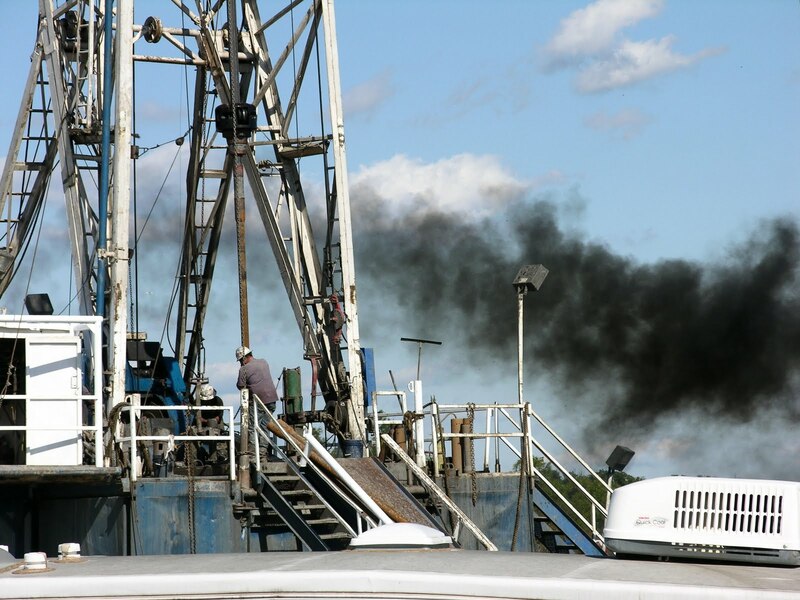 An EPA report concluded that the oil and gas industry was responsible for about 99 percent of the volatile organic compounds found in the basin which, when mixed with sunlight, creates ground level ozone. The smog was so bad at times that the Salt Lake City airport has had to divert flights. Add up the studies and you get a picture that shows drilling pollutes the air people breathe, creates smog, and adds a higher-than-predicted burden of greenhouse gases to our atmosphere. 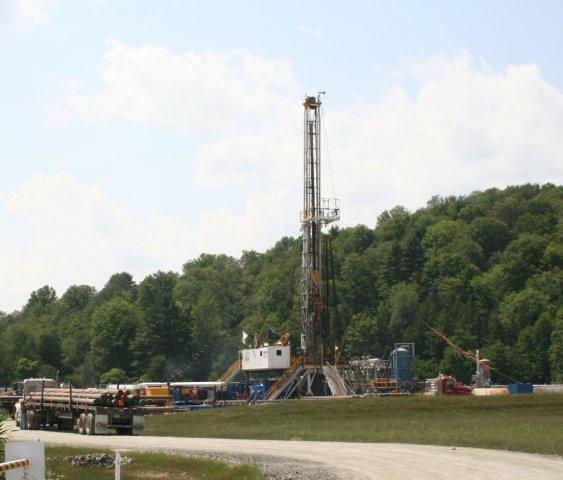 Now US Fish and Wildlife Service say drilling is contributing to the loss of two plant species. 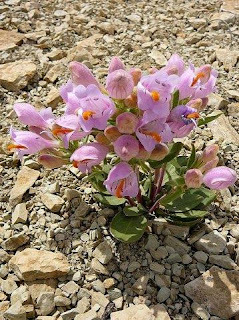 The agency is asking for federal protection for two rare plant species, Graham’s beardtongue and White River beardtongue and is asking for them to be listed under the Endangered Species Act. 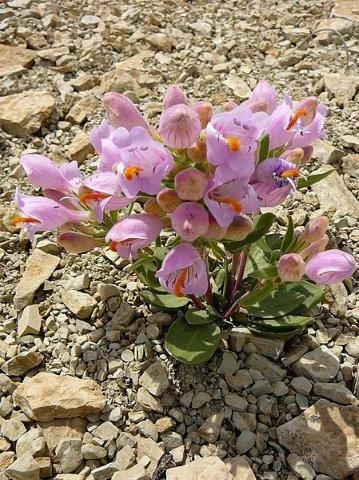 According to US Fish & Wildlife, both plants are endemic to the Uintah Basin and over the past few years their range has been reduced by oil and gas development, invasive species and grazing. The plants grow where oil shale deposits that are rich in calcium carbonate touch the surface. Back on July 9 Greg May, senior vice president of Tompkins Trust Company Residential Mortgage lending, warned residents in Berkshire, NY that gas drilling can bring high costs to landowners. One of his biggest concerns: that “homeowners insurance normally excludes coverage if there are active commercial operations occurring on the property.” Gas drilling falls into that category. 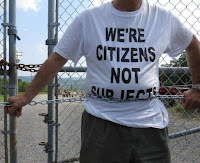 Now, barely a month later, a landowner in the town of Lebanon (Madison County, NY) is facing just that situation. According to Jim Goldstein, town supervisor, the landowner was surprised when his insurance company denied the renewal on his homeowner's insurance policy covering their home and farm because there is a gas well on their property. There are no problems regarding royalty payments, nor have there been any incidents on the property. The gas royalties go to the previous owner, but the current property owner holds the lease and royalty rights for future wells. So Goldstein checked out the situation with the insurance agent, who writes a lot of policies in the county. Apparently this is a “new trend that will come up as property owners fill out renewal applications,” writes Goldstein. 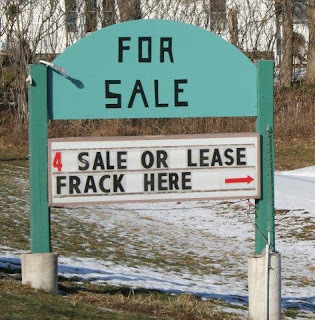 So far this seems to be limited to property owners who have gas wells, and so far it hasn’t extended to gas leases or to property owners whose land was pooled into drilling units through compulsory integration. 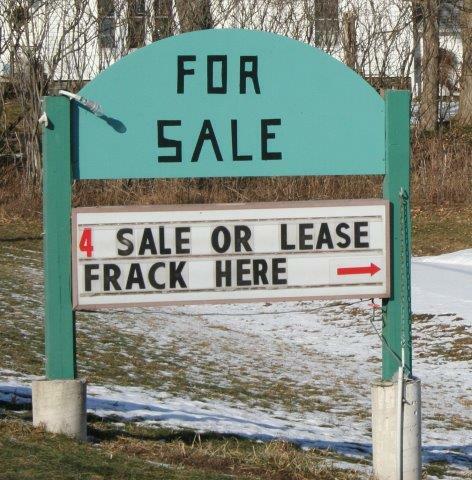 The case in question is on a property where the buyers inherited the gas well and lease from the previous owner. Goldstein worries that other farmers and homeowners may be facing similar insurance problems. Of further concern, he notes, is that the state Department of Environmental Conservation – which oversees and regulates gas drilling – is not aware of this trend. And, says Goldstein, state officials know of no “high risk pool” available to homeowners should they lose their insurance because of gas wells on their property. “This appears to be directly related to perceived liability of having a gas well on one’s property,” says Goldstein. 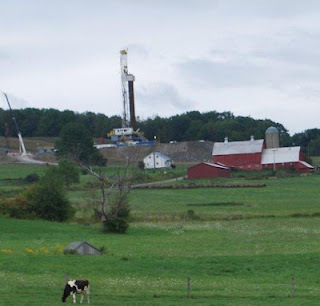 “And we are talking about Medina and Herkimer Sandstone formation wells, not the new proposed high volume hydraulic fracturing process.” He estimates that 25 percent of Madison County is leased, with about 60 wells in his town of Lebanon. Read more on insurance and drilling here. At issue is a plan to store liquified gas in salt caverns beneath Seneca lake – caverns which have been declared structurally unsound and prone to catastrophic accidents. More than 100,000 people depend on Seneca Lake for their drinking water, and an accident would pollute that vital resource. Local wineries, businesses, and community members have expressed dissent over DEC’s less than stellar review of the potential economic and environmental impacts of Inergy’s proposal to expand the gas storage capacity of the facility from 1.5 to 10.0 billion cubic feet. 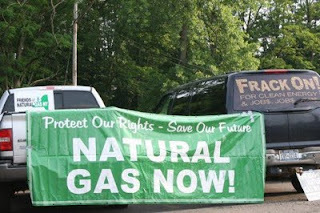 Local municipal elected officials are deaf to the pleas of constituents who are concerned about the potential effects of the gas storage project. So Alderson, and a few others who have brought their grievances to their electeds, are left with few options. Alderson chose to chain himself to the gate and undergo a second arrest. 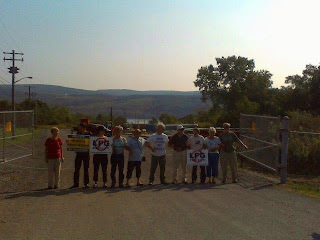 But this time, the gas corporation decided to try something new: to prevent Alderson from further protests by filing a restraining order against him. A “restraining order”, also called an “order of protection” is a legal injunction that requires a party to do, or to refrain from doing, certain things. Such orders are commonly used in cases of domestic violence, harassment, stalking or sexual assault to protect an injured party. However, courts are starting to use restraining orders to muzzle protesters. Peaceful protesters. Non-violent protesters. I went to court again today, this time in the Cayuta Town court, where the case regarding my second arrest is now being heard. Everything was as routine as I expected it to be, with me pleading not guilty and my lawyer, Jerry Kinchy, saying that he would be filing motions prior to trial. Then, out of the blue, the assistant district attorney made the request that an order of protection be granted, restraining me from appearing at the Inergy site. Jerry objected that an order of protection can't be issued on behalf of a corporation, but only on behalf of an individual. The D.A. argued that the order should be issued restraining me from being near Barry Moon, who he said was the manager of the Inergy facility (a different gentleman, identified, I believe, as Inergy's "site manager," testified against me at my first trial, not Mr. Moon). I should be kept away from the Inergy facility, the DA said, because it is Mr. Moon's place of business, and of course, I shouldn't be allowed to contact him or go near his residence. I told the judge that I did not know Mr. Moon and would not know if he was standing beside me, which would make compliance with this order difficult. The judge, Robert E. Johnson, said I should stay away from the Inergy facility and wrote out the order. As a result, I am now barred from being anywhere within 100 feet of the Inergy fence. I am also barred from "third party contact," meaning that I can't tell anybody to go to the Inergy site for any reason, including for a peaceful protest. The judge made it clear that violating this order would be a misdemeanor and a higher level of seriousness than what I am facing now. Leaving aside the fact that I am in some danger of accidentally violating this order because I don't know where Mr. Moon's residence is and I still wouldn't know him if I saw him, there are much more serious issues here. For one thing, I have, effectively, been given a punishment before my case has even been heard, and that sure doesn't seem right. A restraining order is understandable when issued to an accused batterer, but it's a very different matter indeed when it becomes the mechanism for taking away someone's right to freedom of speech, especially when no evidence was even submitted to the court that my actions had done harm to Mr. Moon or anyone else. In fact, the law (NY CPL 530.13) states that the court "may for good cause shown" issue such an order, but no cause -- good, bad, or indifferent -- was offered in court today. My wife keeps wondering aloud whose idea this was and she suspects that it was Inergy's attorney who suggested it to the D.A. We can't know, of course, but could a Schuyler County D.A. have come up with this novel legal theory on his own without prompting? Yes, I know that in a day and age when our president claims he has the right to kill American citizens without trial, it's just kind of quaint and old-fashioned to care about the Constitution, but I do care. And I simply cannot remember anything in the Constitution giving the government authority to forbid free speech if there is a risk that it will upset or inconvenience a corporation. The part that really bothers me is what this says about America. Jerry says he will file a motion to have this overturned, but you can't file a motion to overturn tyranny.